Are you overwhelmed as a teacher? Do you find that your passion just isn't where it used to be? Do you love what you do, but the daily stress is just becoming too much? You've found the right place. 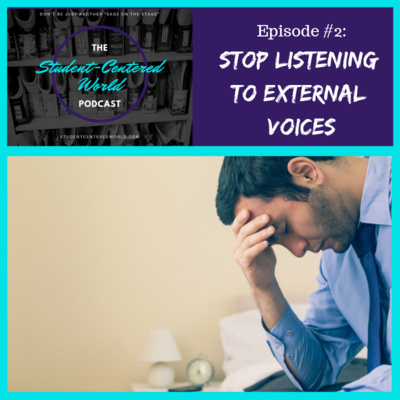 Our podcast focuses on self-care for teachers and how to avoid burnout while creating a memorable and (relatively) stress-free environment in your classroom and school. What if it isn't an external voice that is getting you down. What if it is your own negative self talk....and upon examination, it's unnecessary and incorrect? 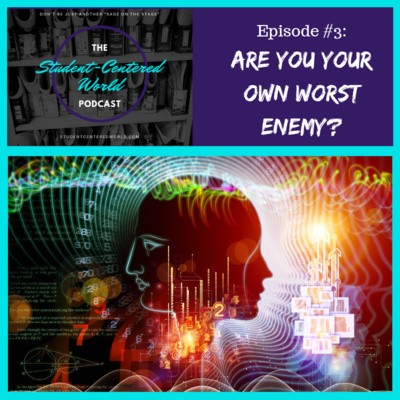 On this week's podcast, we take a look at your internal voice and whether it's building you up or knocking you down. External voices are all around us.....it's wonderful when they're positive and uplifting, but what happens when they're negative? What happens when they end up making your internal voice doubt itself? Today we're going to tackle the negativity and what you need to do to keep yourself above the chaos. 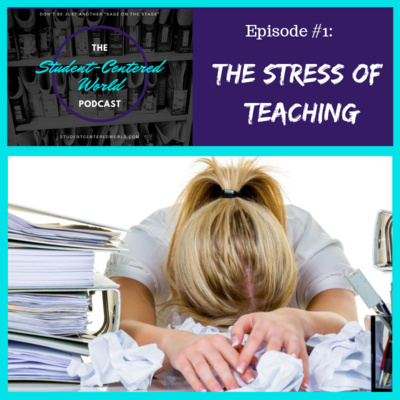 In this first episode of the Student-Centered World podcast, we look at teacher stress and discuss a quick way to start to organize your thoughts.